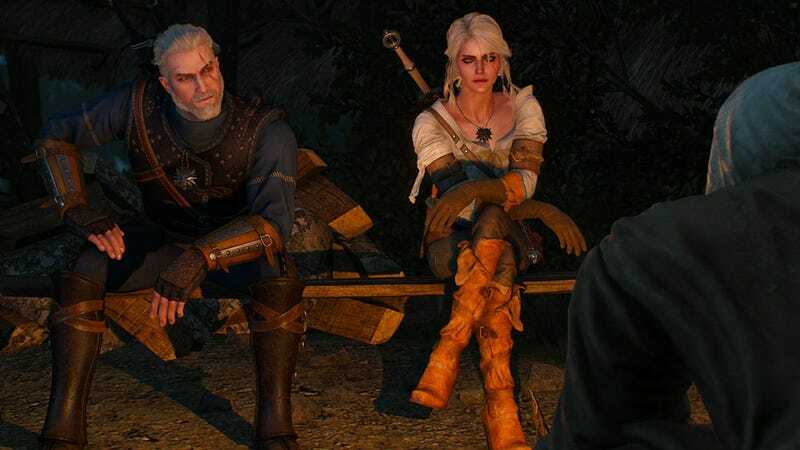 You may have seen the news today that The Witcher 3 has sold well over 6 million copies. Impressive! We don’t normally like to talk about raw sales figures here on Kotaku, but I think there’s a lesson to be learned from this particular success. The most obvious one is that good video games sell. Duh. But there’s something more to The Witcher 3’s appeal than just its review scores. The Witcher 3 is an entirely singleplayer experience. It’s Good Old Game release is free of DRM. It received a bunch of free DLC. It took four years to come out, rather than being rushed to fit an annual release schedule. In many ways, a game like The Witcher 3 doesn’t belong in today’s world, a time where games are being designed as much around payment models, multiplayer metrics, pricey DLC and social marketing as they are player experiences. Yet not everyone plays games to compete, or to share, or to show off. I play games to escape, by myself, and it’s fantastic that in 2015 a company was willing to still put time and money into making something as grand, generous and personal as The Witcher 3. I guess six million other people thought the same.